I can't believe it has been a year since the last CHA Mega Show. 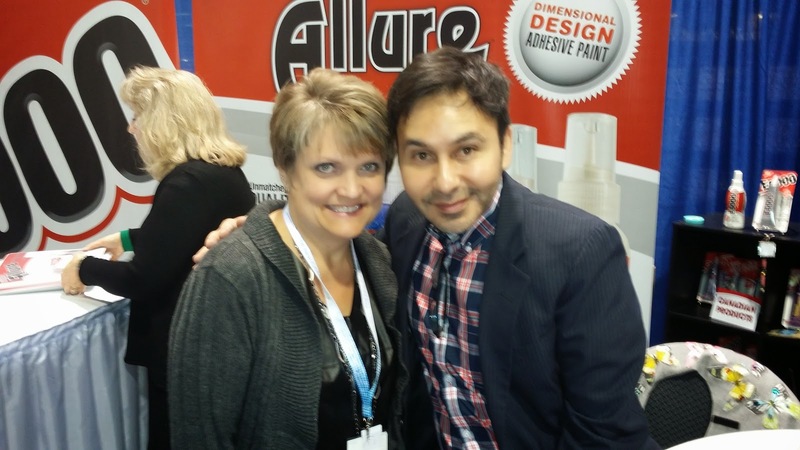 I had a blast last year at the show and I am looking forward to attending the 2016 CHA Mega Show. 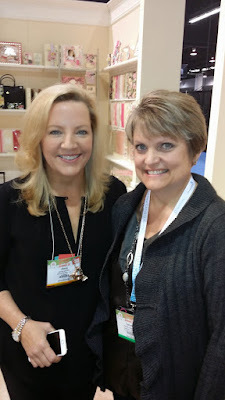 I can't wait to see all of the new products, and reconnect with all of the wonderful people I met last year. 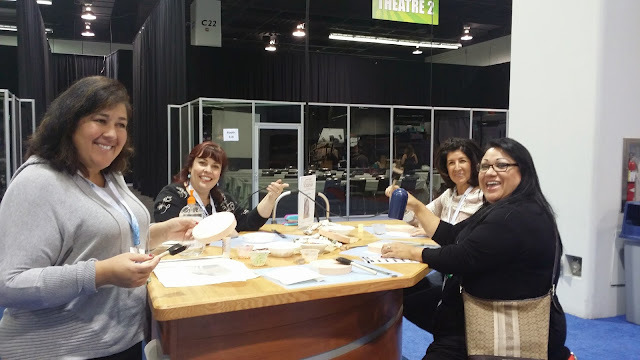 2015 was my first time attending the CHA Mega show and I have to admit I was pretty overwhelmed. 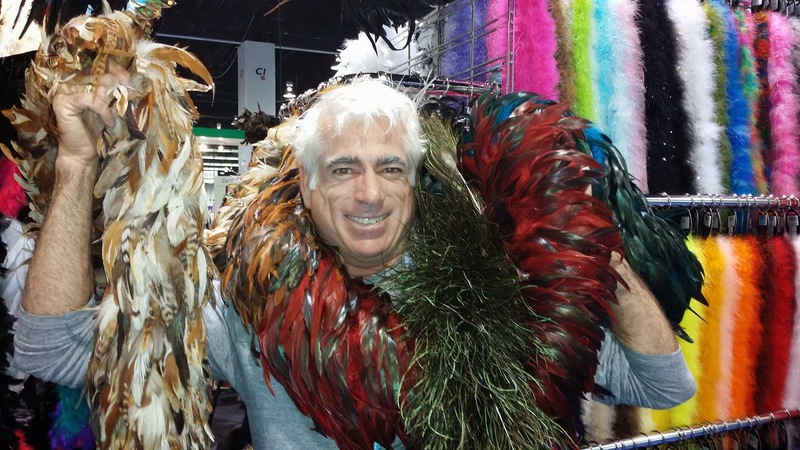 I didn't really have a plan of attack so to say, so I wandered around the show floor with my design team like kids at recess. It was great meeting Mark Montano and getting a signed copy of his new book. We did eventually get some actual work done and met some crafty friends in the process. This year I am printing out a show floor map and highlighting the booths I want to spend the most time in. I am going to stay on a schedule and stay focused, which is going to be very hard for my sparkle loving ADD brain to accomplish, but I'm going to give it a try. I will be on the lookout for the latest and most innovative products to offer to my customers. I can't wait to see all of the new releases from my favorite brands. I also contribute to a few manufacturer's design teams so I am looking forward to seeing the Clear Scraps booth and also taking a class taught by Ann Butler. I am also looking forward to meeting my fellow design team members at the show! Click here to checkout the full list of participating blogs! Can't wait to see all the new products headed our way!!! I love following via Charity Wings live telecast! It almost makes up for not being able to attend!!! Toodles for now!! I am so excited to get to see all the new products displayed at the CHA Show 2016! Anxious to see your new products, Tammy!!! Please wander around the show floor this year also and provide us with your thoughts of what the creative world will bring to us in 2016! Have a great time there, Tammy! Such a fun hop! I have followed along live as well. I too will be excited to see and hear about the new products at CHA! The one craft tool that I cannot live without is my my Fiskars Fingertip Craft Knife! I love my Sizzix Big Shot as I use it ALL the time. Wish I could attend CHA but hope to hear more about it via the web. Have FUN!!! Looking forward to see the new releases but my credit card will die under the stress! Oh my goodness I can't wait to see what all is in store for us. CHA would be an exciting place to spend a week. I would be overwhelmed, I'm sure. My must have tool: Tonic paper cutter, I'd be lost without it. I love my Sizzix Big Shot too! Wish I could attend CHA but hope to hear more about it via the web. I wish I could go to CHA Show, looks like soooooo much fun!! Only one more month! Can't wait!! I can't wait to See You at CHA! Great post. My favorite crafting tool would be my computer: I have hundreds of GBs of videos, templates and techniques accrued over the last decade all stored in small spaces (external hard drives) that would have necessitated in buying up all the houses on my block in order to store all the magazines and videotapes that were otherwise available. I totally agree...the Internet is the best craft tool!! !